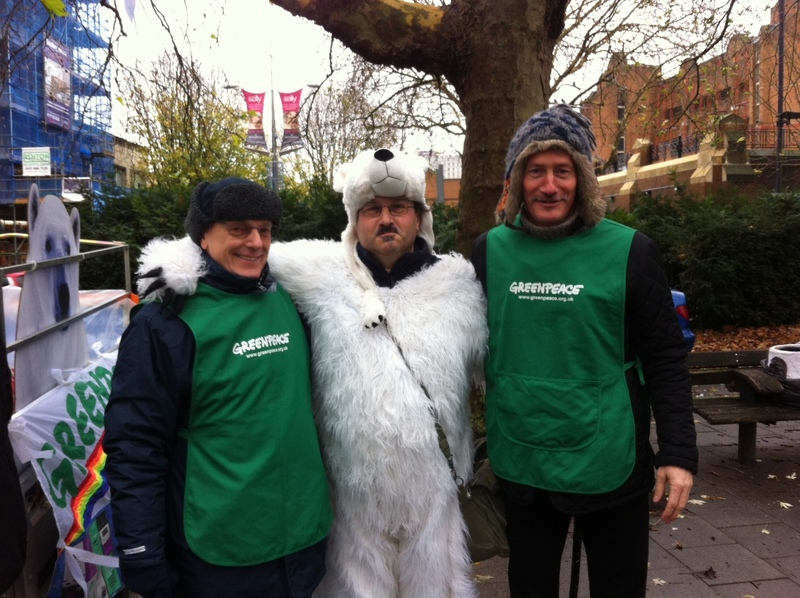 Two Brendon Energy Directors joined with a dubious looking polar bear in the climate justice march in Bristol at the weekend. Thank you to all the BE members who are doing their bit in the fight against climate change by supporting our renewable energy projects. Small actions by many people can have big effects! In the October half term work was completed on the 9th BE solar power station and its first in Taunton – at Heathfield Community School. The 164 panels should generate 41kW at peak. Great news for the school, BE and for the planet. More projects should come on stream in the next few months. Onwards and upwards! More schemes are close to completion, financed by our last share offer. An array of further projects have been developed and pre-registered (to secure favourable government FiT payments) and are likely to be financed by a new share offer in the new year. The output from the Brendon Energy solar power arrays on community buildings more than doubled in 2014, compared to the previous year. The energy production figures will rise even higher in 2015 as new schemes come online and the projects which started in 2014 have their first full 12 months of generation. Great news in these days when green energy is suffering from several government knock backs. 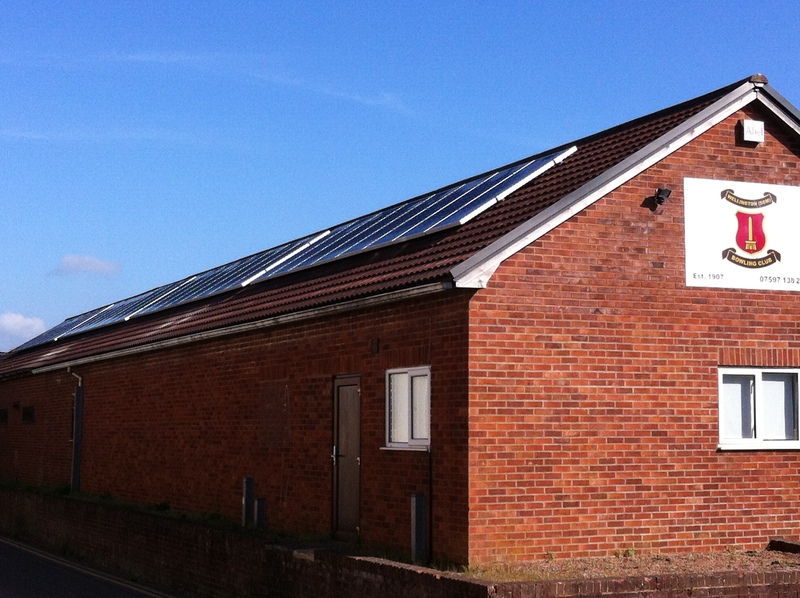 Every year the solar power projects in Wiveliscombe produce money for the 10 Parishes Community Fund. So far £3,500 has been distributed and another £2-3,000 should be available this year. Applications are now being sought for this years give away. In previous years a wide range of projects have been supported and the rules on what can qualify are kept to a minimum to allow us to be as creative and flexible as possible. We would especially welcome applications that support community projects in the 10 Parishes area (Wiveliscombe, Milverton, Ashbrittle, Stawley, Huish Champflower, Fitzhead, Brompton Ralph, Clatowrthy, Chipstable and Bathealton) particularly if they are helping combat climate change. If you would like to apply download the 10 Parishes Community Fund form here. The closing date is the 25th of September. Brendon Energy’s third share issue has now closed and has reached £126,250! This is excellent news and will allow us to install many new pv installations! Thank you to all the new member investors who are helping to make green energy in Somerset and support local communities! A new group has been established in the Wiveliscombe area to try to inspire local action on climate change. Wivey Action on Climate had its first meeting on 22nd January 2015 with a well attended talk on ‘Climate past present and Future’ by Robert Dunn of the Met Office. Brendon Energy wishes the group every success with their work. Their website has lots of tips of how you can make a difference at home, at work and in the shops. Next year that fund should have even more to distribute as it will benefit from additional revenue from the new solar scheme on the Community Centre roof. Brendon Energy’s second share offer was a great success raising over £51,000 from new and existing members. This has allowed a full repayment of the short term loan used to finance the installations and means that Brendon Energy now has 5 solar power stations generating clean green electricity on local community buildings. Well done to everyone who made it possible, thank you to all those who invested and welcome to the 26 new members.